For years I have wanted to try canning. My husband wasn’t so excited, but went along with it. 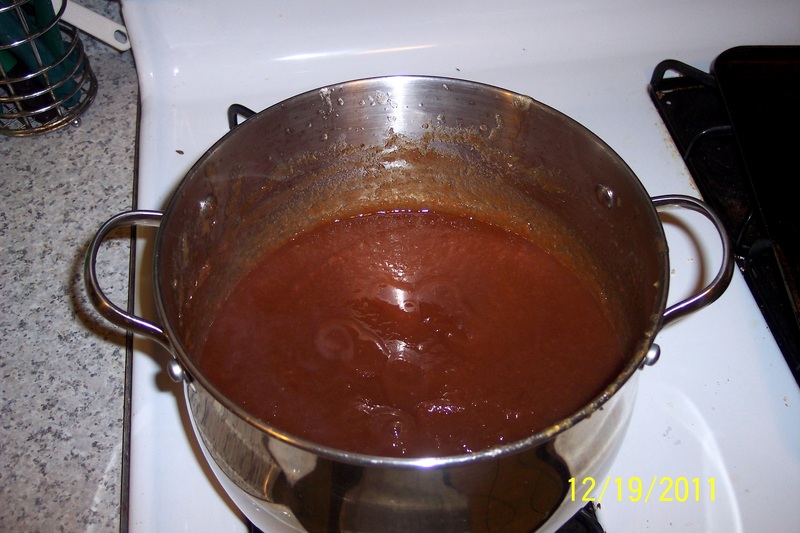 He has experimented with many spaghetti sauce recipes and has a great refried beans recipe. We always thought it would be great to be able to can them to give to others or to store for later. It also is a great way to save money. However, we have never invested in the equipment to do it, thinking it would be too expensive to start. 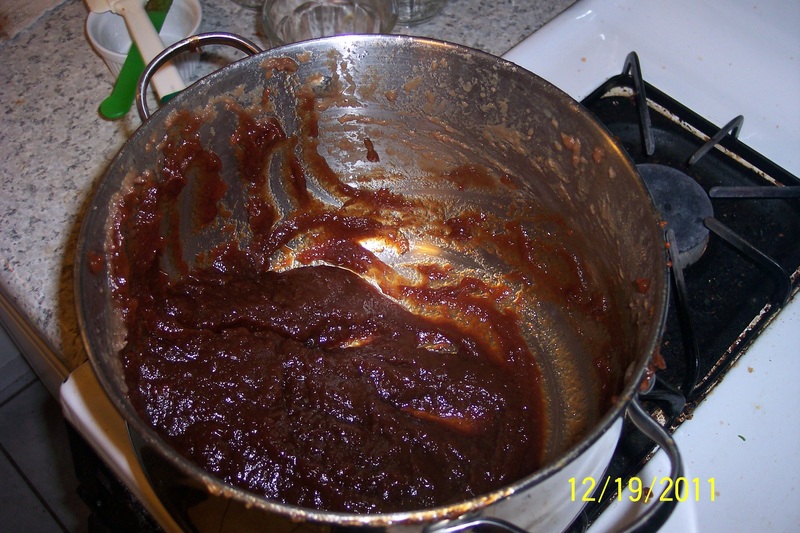 We decided to try apple butter since apples are in season and the recipe seemed simple. Boy were we wrong! The recipe was simple to do, but very time-consuming. 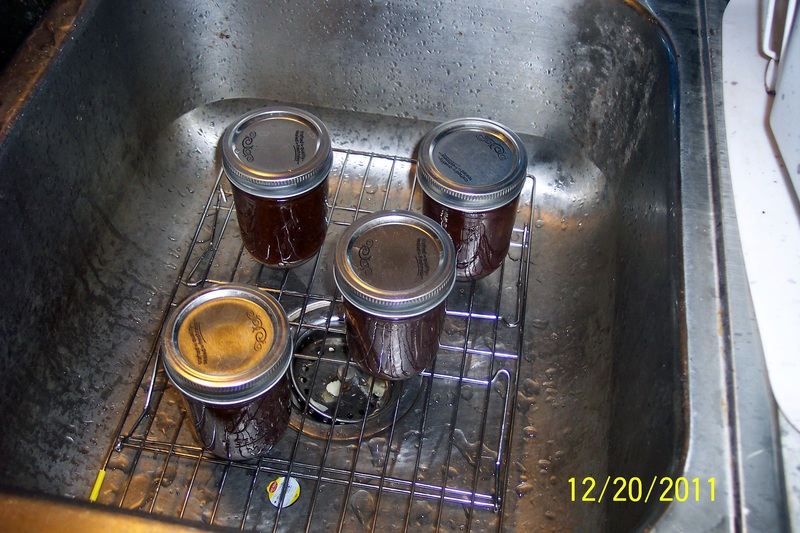 The first attempt was 2 times the recipe and made 7 half-pint jars. The second go-round was 3 times the recipe (3 batches) and made 10 half-pint jars. The recipe itself did not specify a yield. 1. 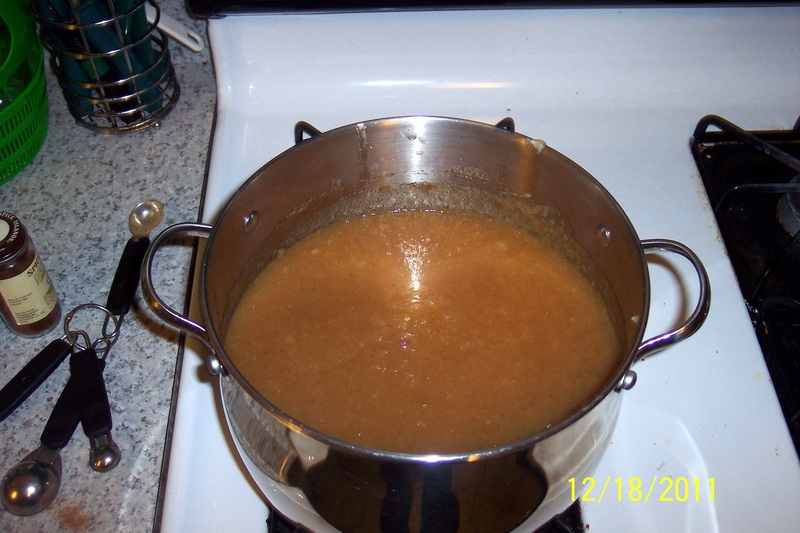 Combine apples and apple cider in a large stainless steel saucepan. Bring to a boil over medium-high heat. 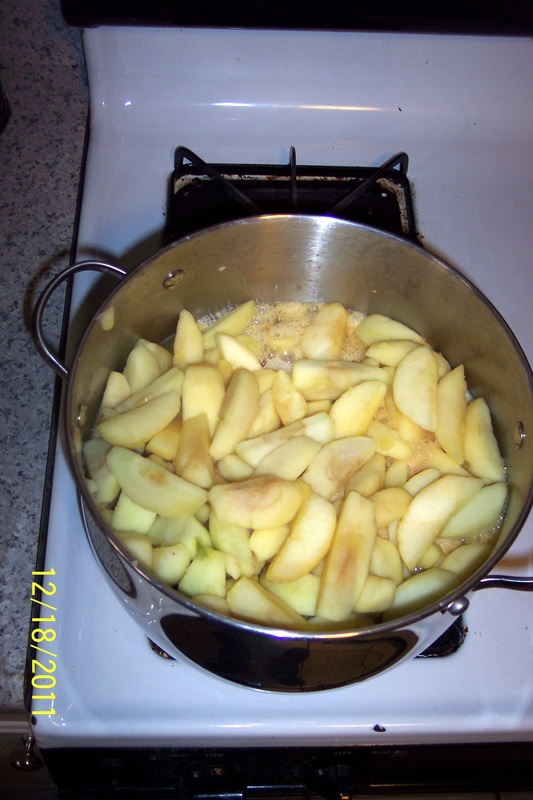 Reduce heat and boil gently, stirring occasionally, until apples are soft, about 30 minutes. Note: Buy big apples because the peeling can be very time-consuming with small apples (which we got). If you are making more than one batch at a time, make sure you have a large enough pot to cook them in. Three batches filled an 8-quart stainless steel pot. 2. Transfer apple mixture to a food mill or a food processor fitted with a metal blade, working in batches, puree until a uniform texture is achieved. Do not liquefy. Measure 9 cups of apple puree. 3. 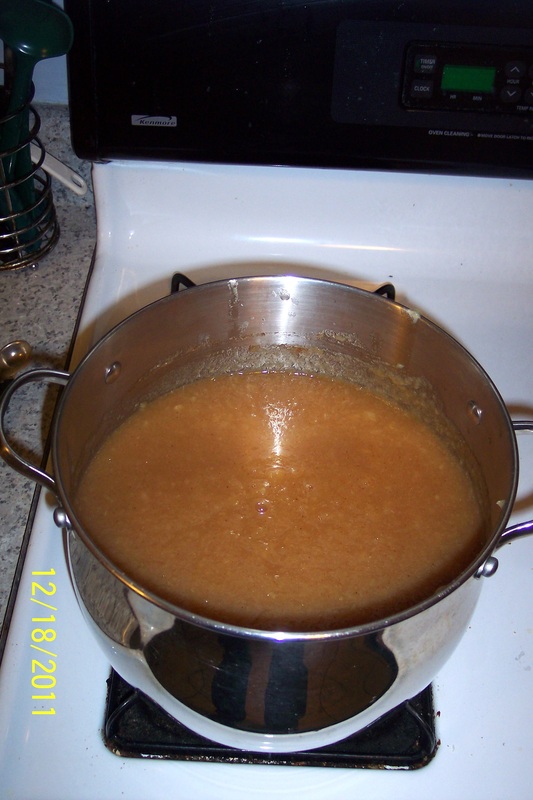 Combine apple puree, sugar, cinnamon, and cloves in a clean large stainless steel saucepan. Stir until sugar dissolves. Bring to a boil over medium-high heat, stirring frequently. Reduce heat and boil gently, stirring frequently, until mixture thickens and holds its shape on a spoon. NOTE: This stage seems easy, but takes forever! It took us at least 8-10 hours of cooking time. We had to do it over several evenings. 4. 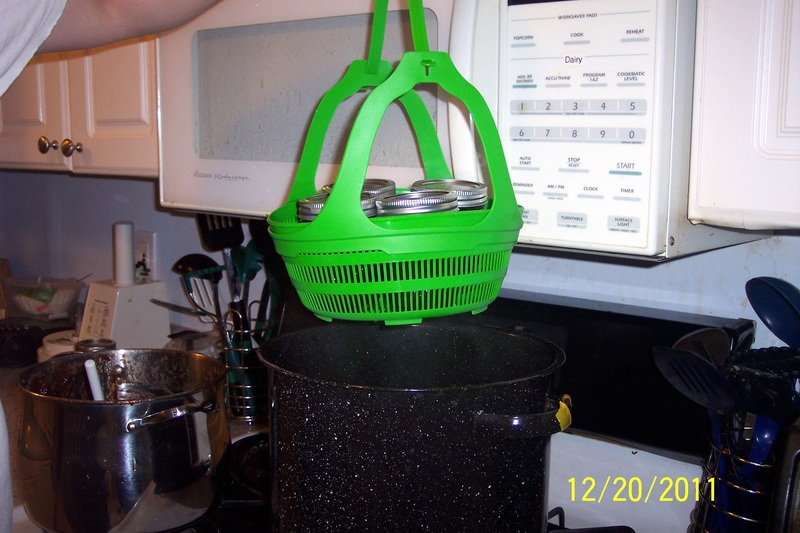 Prepare stockpot/canner and jars as directed in step-by-step instructions. (These depend on if you are using a pressure canner or the beginner’s kit like we did. They are included in the beginner’s guide.) We sterilized our jars in the dishwasher. 5. Ladle hot butter into jars, leaving 1/4 inch headspace. Remove air bubbles; re-measure headspace. If needed, add more butter to meet recommended headspace. Wipe rim; center lid on jar. Screw band until fingertip-tight. NOTE: You need a non-metallic spatula small enough to fit into the jar to do this. We didn’t have a small enough one, so we used a small plastic knife. 6. Process filled jars in boiling water for 15 minutes. 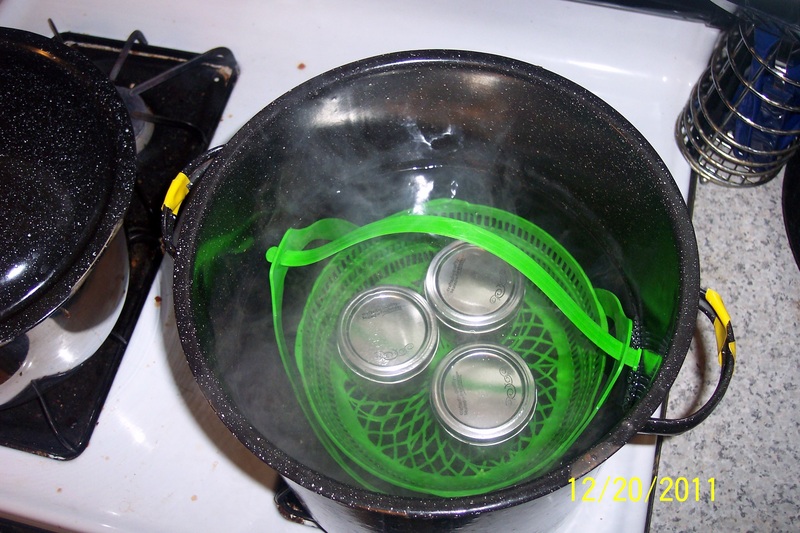 (This means placing the silicone basket with jars inside a pot of boiling water. See guide for more instructions.) Remove stockpot lid. Wait 5 minutes, then remove jars, cool and store. The guide recommends you let them cool for 12 hours. NOTE: We cooled ours on a baking rack in the sink to catch the dripping water. Now we are ready to add a label and a bow and our holiday craft for this year is done! We still have a lot of jars left, though, so we plan to try another recipe soon! Details to come. For more recipes and great tips on canning, visit Ball’s website. WOW – had no idea how much time, effort and energy went into my gift. Now I’ll appreciate all the more. THANKS! Glad to do it, especially for you! Hope to see you soon! I agree with Michelle, I didn’t realize the time and effort! 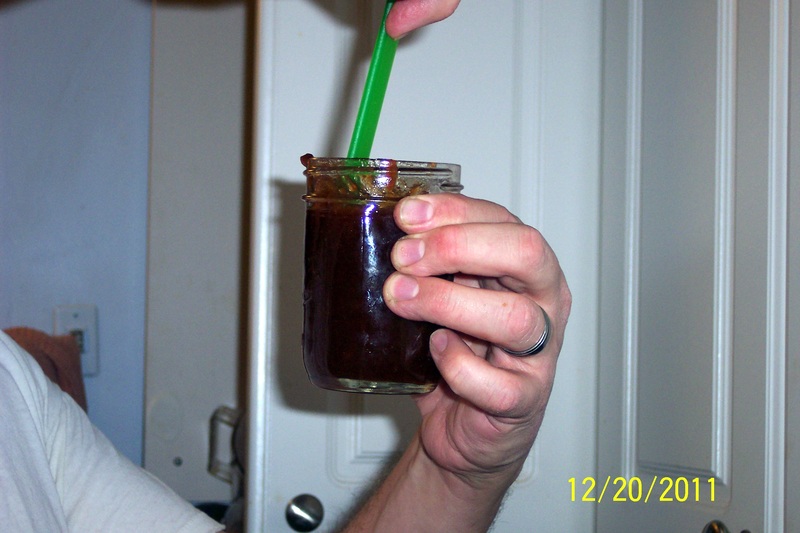 The taste is wonderful, though, and the texture is thick; that’s neat and unusual for apple butter. My husband and I just opened ours and spread it on gingerbread cookies. Sublime! Thank you for the recipe, the photos, and the gift. I’m getting inspired to give it a go myself. We are so glad you liked it and I appreciate you signing up to receive my blog! Let me know if you do try it yourself. Nice to see you Monday!